I began going to Humphrey Yogart, located in a strip mall in Sherman Oaks in the 1980s, when I was in high school. Humphrey’s was always different than the rest of the frozen yogurt shops. In fact, just from the name, you can tell they follow their motto to “be different.” The name “yogART” is the playful name for their art of blending frozen yogurt with ingredients to create individualized flavors. 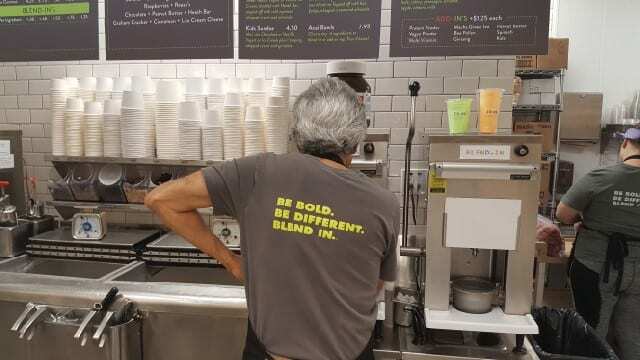 The idea at Humphrey Yogart it to “blend-in.” They have three machines with custom drills that mix the ingredients together. You start by selecting tart vanilla, sweet vanilla or chocolate hard-packed nonfat yogurt. There are more than 50 “blend-in” ingredients, including fruits, cookies, candies, nuts, peanut butter, Nutella, espresso beans, coconut, and more to create custom flavors. The ingredients are mixed together with the custom drill machines, resulting in whatever flavor combination you could dream up. Humphrey Yogart is not like any other frozen yogurt. 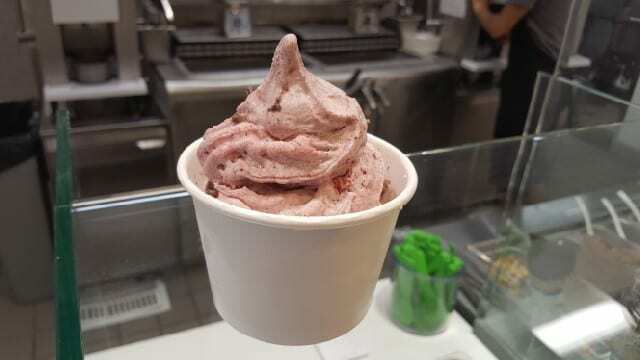 Typical frozen yogurt shops use soft serve machines with a limited selection of flavors made with artificial flavoring that are whipped with air. Humphrey Yogart starts with a base of hard-packed nonfat yogurt that contains only 16 calories per ounce. Once it is mixed in the custom machines with fresh frozen fruits and real ingredients, it softens and results in a fresh, creamy texture. For decades, any time I was in the valley, I would stop for a Humphrey Yogart. My go-to flavors have always been the tart vanilla yogurt with strawberry and banana or if I wanted something sweeter, I would select the sweet vanilla yogurt and mix in strawberries and mint cookies. Last year, when Humphrey Yogart announced they were closing, I began to mourn. Where would I go for a snack that was refreshing, light and satisfiying without being too sweet? Luckily, Paula and Jim Sheftel, the husband and wife team behind Humphrey’s Yogart, found a new home! They moved across the strip mall they were in, into a spot inside Gelson’s Sherman Oaks Market. So, where did I stop on my way home from the valley the other day, Humphrey Yogart of course! So, BE BOLD! BE DIFFERENT! 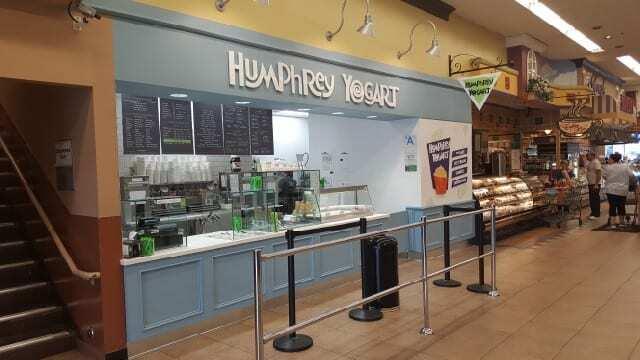 And head to Humphrey Yogart for a BLEND-IN! 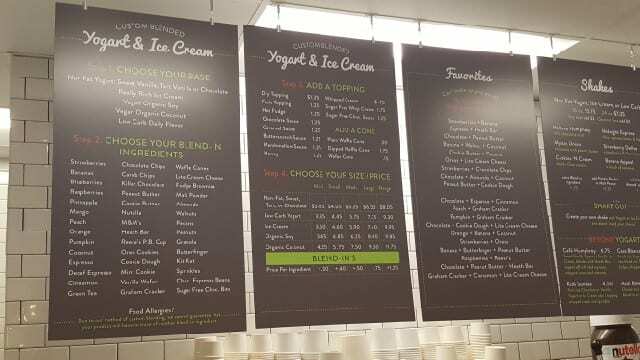 This entry was posted in Food, Lifestyle and tagged blend-in, frozen yogurt, Gelson's Market, Humphrey Yogart, Jim Sheftel, Paula Sheftel, pick of the week, Please The Palate, Sherman Oaks, Yogart by Allison Levine.